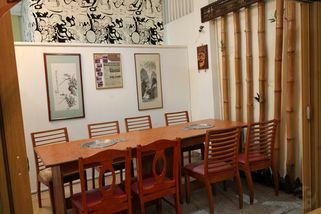 No.255, Jalan Ampang Hilir, 50450 Kuala Lumpur. From Jalan Tun Razak towards KLCC, keep left and after The Intermark hotel, turn left to Jalan Ampang. Go straight and keep right. At the trafic light before Great Eastern mall, turn right. Jun Woon at your right, after Sayfol International School. 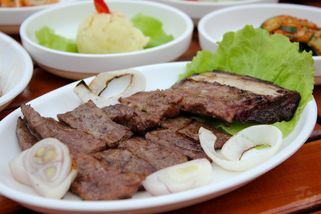 What sets Jung Won Korean BBQ Restaurant apart from most Korean restaurants here is their refreshing ambience. 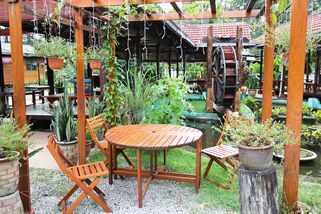 Set in a lot with ample space in Ampang Hilir, Jung Won made full use of the setting and designed the main dining area to be a spacious al fresco area circling a decorative pond and surrounded by plenty of greenery. If you don’t fancy the outdoors they have several tables set up in the building as well. 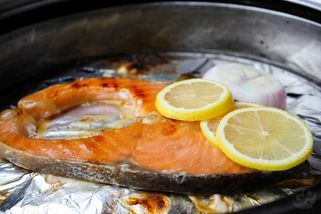 As with traditional Korean BBQ places, customers order a la carte meat for grilling; choices vary from the type of protein like beef, pork, or seafood to the sauce it is marinated in. 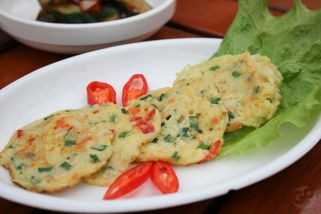 A set of side dishes accompany each BBQ order; several of these side dishes vary from time to time. 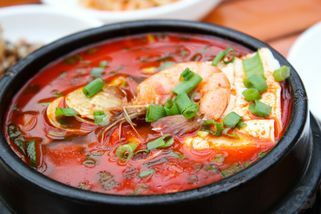 Other a la carte Korean favourites like Kimchi stew, Korean pancake and Bibimbap are available as well. "Quality meat, really nice ambience." The meat for BBQ is really good. Our table only ordered marinated variations but I peeked over the next table and saw the unmarinated beef ribs, the marbling on the meat was beautiful. The beef is pretty costly (RM60+ per platter), but the sweet marinated pork (RM35) was a decent amount. 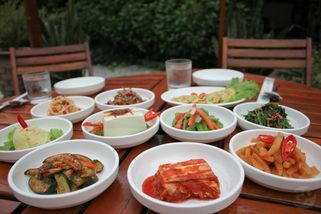 The side dishes are free flow. And most were pretty good in taste. The ambience. Wide open space for BBQ, you won't feel suffocated like in most smaller restaurants. Perfect for company functions/parties. Even though it was mosquito season, they placed some mosquito coils around and we didn't get bitten at all! (Pet peeve) The rice (RM5 per bowl) is local rice, not the fluffy short grained imported Korean variation. The restaurant being large, the staff have trouble noticing us calling them. Some tables have the bell to ring for service, ours did not. But once you get their attention they will bring your request accurately. Price wise is a little costlier than the usual Korean restaurants in Ampang. My verdict: definitely worth shelling that little bit of extra money if you're looking for a nice place to have a loud and large party with BBQ and beer! Will come back again!